We offer a broad range of products across all manufacturers for all your painting projects, backed up by great prices and well trained staff. 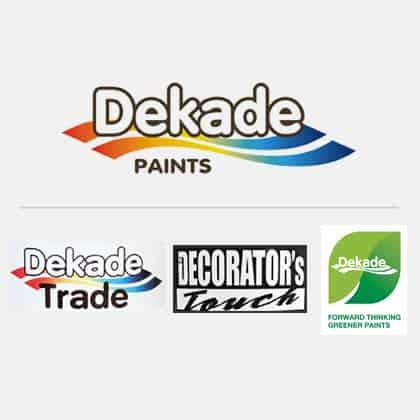 We are a proud stockist and distributor of the full range of Dekade Paint products for the homeowner and the trade. Dekade Paints started out in 1979 as an in-house manufacturing plant of high quality coatings for the largest paint wholesaler and retail outlet in Pietermaritzburg and the KwaZulu-Natal midlands, Natal Associated Agencies. NAA has serviced the local market and has been a major force in the distribution of the Dekade brand to towns from Kokstad to Greytown. All this changed in 2000 when Dekade moved into the general market with a comprehensive range of top quality products and a backup, technical and advisory service that had been developed over 20 years, and was second to none in the industry. 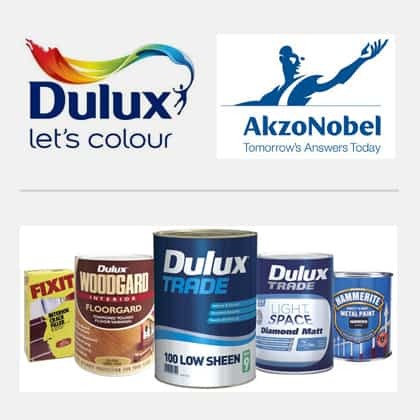 We have a long and proud association with Dulux owned by AkzoNobel, offering our customers, both homeowners and professionals the full range of Dulux products. This association was cemented by the purchase of a Dulux Paint & Paper store in Pinetown by Shave’s in the early 1980’s at a time when Dulux was owned by AECI. This Pinetown store provided a sound base for growth for the subsequent Shave Paint & Decor stores. We are currently one of the largest distributors of Dulux products in this country. 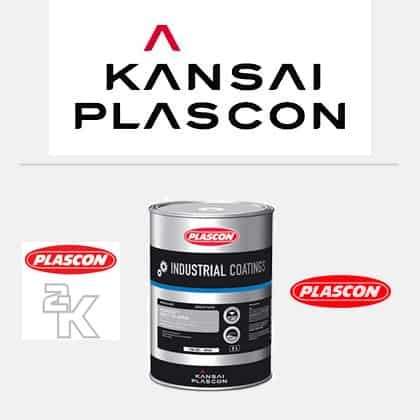 As South Africa’s largest brand with an offering across all market segments, Plascon forms an essential part of our offering to customers. This includes architectural coatings, industrial and protective coatings and over 2000 automotive products for automotive, trucking and panel-beating industries.